This post has been compensated by Amazon in partnership with Forward Influence. All opinions are mine alone. 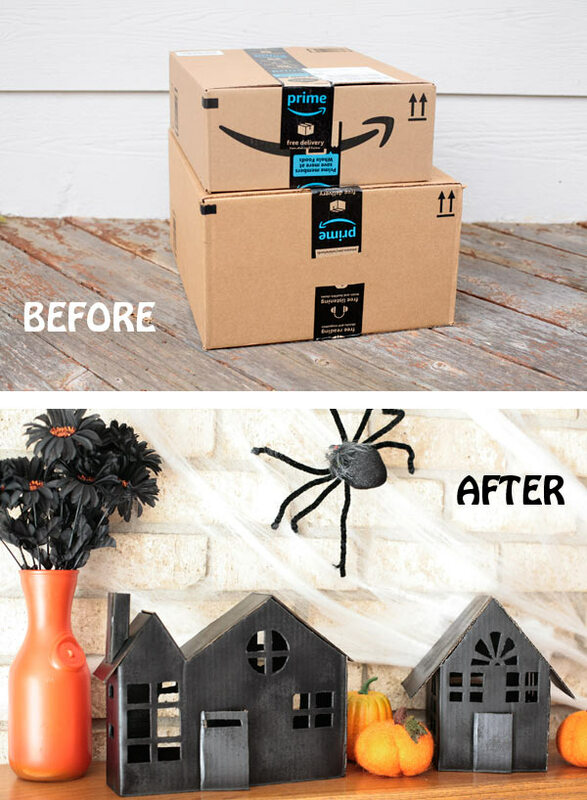 Put your Amazon boxes to good use and turn them into creative and unique Halloween decor. 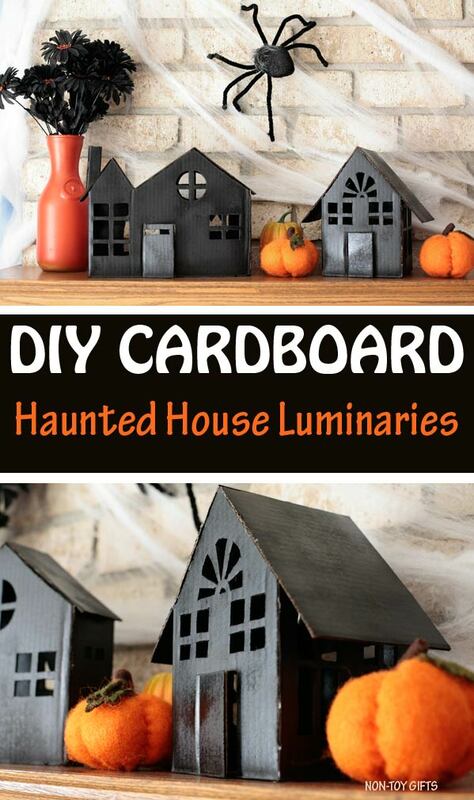 Make a couple of cardboard haunted house luminaries and your home will look spook-tacular. 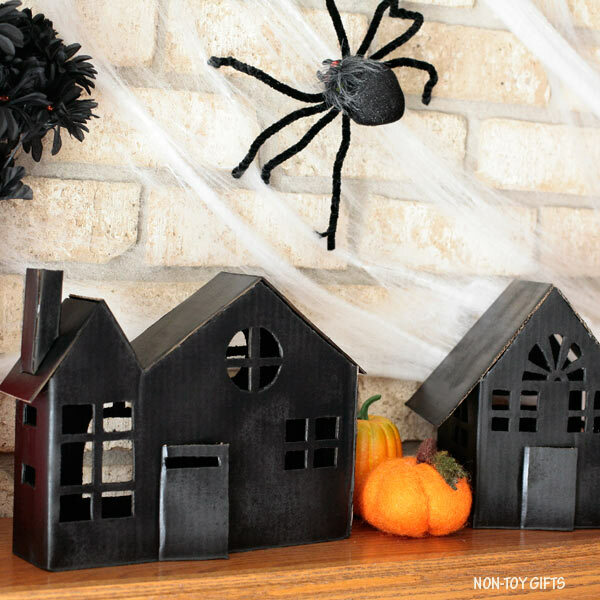 Find a perfect place for them either on the mantel or place them in front of your house on the Halloween night. I guarantee everybody will admire them. 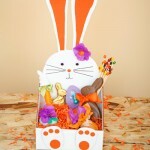 In case you’re planning to host a Halloween party this year, they can make a fun table centerpiece. In case you missed it, Boxtumes are all the rage. 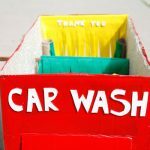 What are boxtumes you ask? They’re costumes made out of Amazon boxes and people have been getting pretty creative with them. So why not take it a step further? 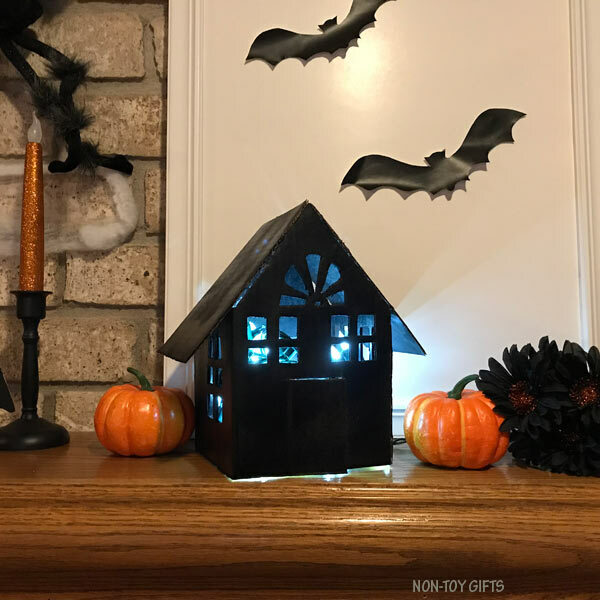 If you like frugal and fun Halloween decorations that you can make yourself, look no further than these cardboard haunted house luminaries . 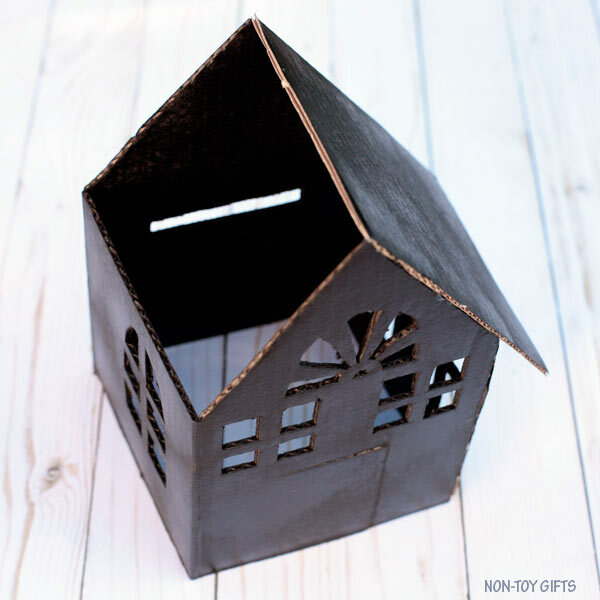 Use a craft knife and glue to turn an old box into a haunted house. Paint it black and place a flameless candle inside. It is really that easy. If I haven’t mentioned it enough, Halloween is a big holiday for our family. I make family costumes and try to add new decorations every year. Some are store bought but others we make them ourselves. This year we created quite a collection of Halloween characters with glowing noses: witches, pumpkins, ghosts and Frankenstein. 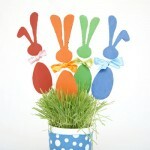 As we still have a few tea light candles left, I thought of making some more decorations. After all you can never have too many candles on Halloween. 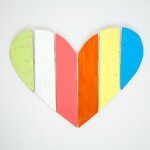 Crafting with cardboard boxes has been a hobby of mine for quite a while. 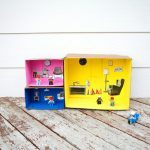 I made several cardboard toys for the boys throughout the years. Being Amazon Prime members and benefiting from their fast and free shipping, we always have boxes at hand. I feel bad recycling them so once in a while I keep some and turn them into creative little things, like these cardboard haunted house luminaries. 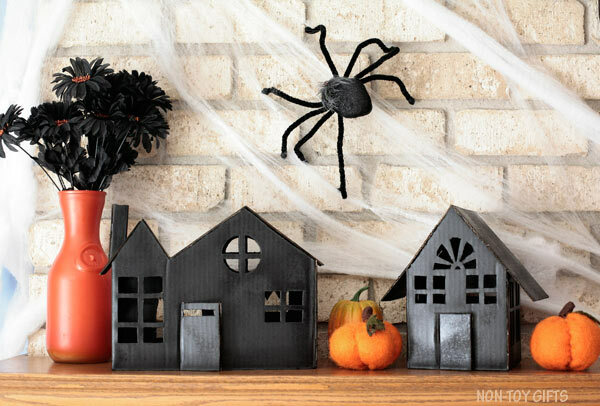 You can use them for all sorts of Halloween ideas, from DIY treat containers to costumes. 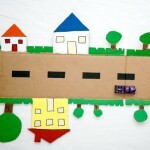 Unfold a cardboard box and use a pencil to draw the house shape on the box. Cut it out. 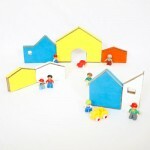 Draw windows and a door on each house and cut those out using a craft knife. Paint the houses black with the help of a spray paint can. Once the paint is completely dried, start assembling the house together. Glue first the walls. 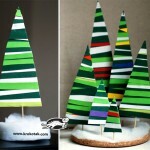 Cut out the roof pieces, paint them black and glue them on top of each house. Add a chimney too, if you like. Place inside several flameless tea light candles, a bigger flameless candle or Christmas lights.